Ferrexpo is an iron ore pellet producer with mines in Ukraine and sales operations around the world. The company has been mining, processing and selling high quality iron ore pellets to the global steel industry for over 40 years. 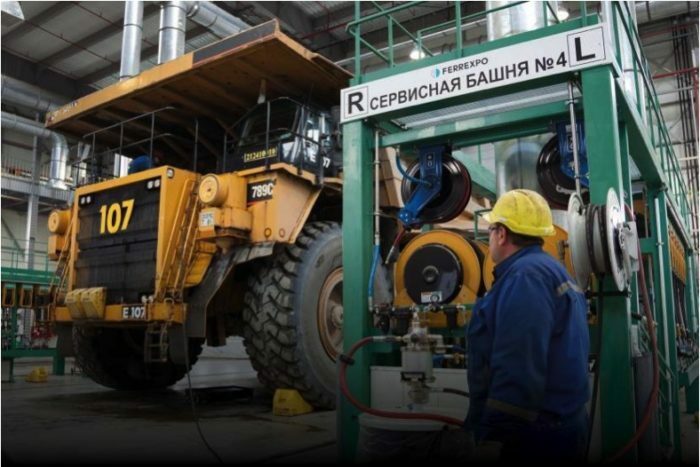 They are located in the Poltava region of Ukraine and our asset base is the largest iron ore deposit in Europe with approximately 20 billion tonnes of resources. Their primary operations currently consist of two open-pit mines with an associated processing facility. Their integrated logistics capability together with Ukraine’s proximity to major steel markets allows them to competitively rail, barge and ship our products to premium steel mills around the world. Copyright © 2019 IIC Holdings Ltd. All rights reserved. IIC Holdings Ltd. Registered in England. Registered no. 10442460. “IIC” is a trademark and a trading name of IIC Holdings Ltd.